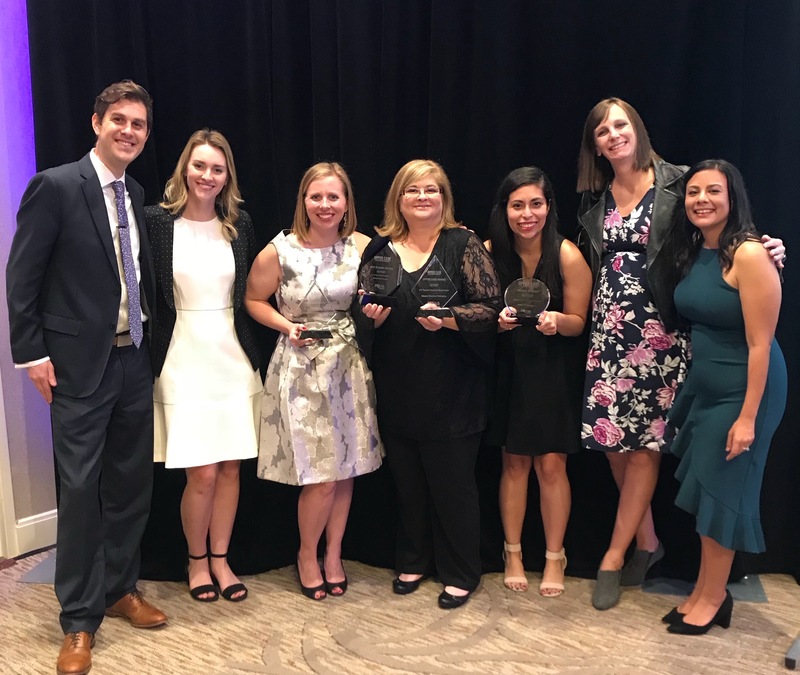 VI Marketing and Branding and its client, Shape Your Future, have been selected among OKC’s top PR firms, winning the Best in Show Award-Tactics at the 41st Annual PRSA-OKC Upper Case Awards Banquet. This is VI’s second Best in Show Award of 2018, following a win at the OKC Addy Awards. The PRSA-OKC Upper Case Awards recognize elite efforts in over 30 categories. Awards are selected based on research, planning, implementation and evaluation by a panel of national judges. All entries require proof of relevant research, sound strategy and measurable objectives. Award entry proceeds benefit scholarships for local university students preparing for careers in PR. The Shape Your Future Teacher and Branded Email Campaign was selected as this year’s award-winning entry. Shape Your Future is a health communication program of the Oklahoma Tobacco Settlement Endowment Trust. The program aims to reduce the obesity rate in Oklahoma by providing education and resources to the target audience. Through a branded email from a cultivated audience, Shape Your Future saw a 25% increase in online conversions and over-achieved in all the campaign key performance indicators. Learn more about VI's strategic campaigns by viewing these case studies.